Members use the equity in their home to purchase cars, consolidate, and purchase furniture and other needs. The equity is the appraised value times 90% minus your first mortgage. If your equity is less than 10% see "Other Home Loans." 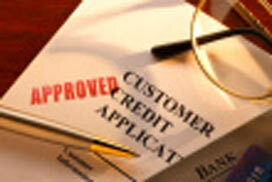 Call Postal Family Credit Union to discuss the loan and take your application. We'll send you a Good Faith Estimate (to be signed and returned) and the Consumer handbook. A title search of the property, flood search and a mortgage will be prepared. An appraiser will contact you to set up your appraisal. When the documents listed in step three are returned to Postal Family Credit Union, if everything is in order, Postal Family Credit Union will set up a closing date. At closing we will need a copy of your insurance policy, a recent paycheck stub and all parties involved in the mortgage. Click here for rates on Second Mortgage Loans.